Dane Gregory Meyer is a West Coast photographer based in the Seattle-Tacoma, WA area. He has been shooting commercially since 1988. In the last decade, his work has focused on people and architecture. He has served many leading businesses, organizations, architects, designers, developers, contractors, artisans, artists, publications and ad agencies. 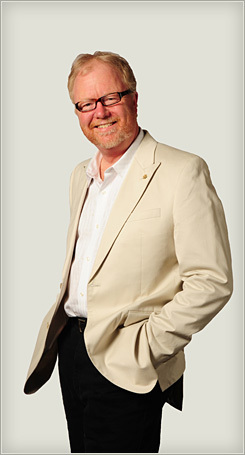 His work has often resulted in both regional and national awards for his clients. Simplicity is a hallmark of both Dane’s work and his work methods. His years of experience allow him to move quickly to the best angle, the best shot. His naturalistic style eschews the fussy, the over-planned, the trendy, instead embracing a “less is better” philosophy that seeks to reveal the deep truth of things. He has been largely influenced by the greats—Ruth Bernhardt, Brett Weston, Ansel Adams and Imogene Cunningham. His business, DG Studio, holds a private collection of photographs by each of these artists. Dane has also studied with Ruth Bernhardt, Judy Dater and others. Dane also shoots fine-arts images and is an active part of the local arts community. In 1992 he took an exhibit of Pacific Northwest fine-arts photography to Vladivostok, Russia, and hosted an exchange exhibit in Tacoma. Vladivostok had been closed to both Russian and foreign visitors for many decades, and the exhibit there was part of the celebration of its opening.